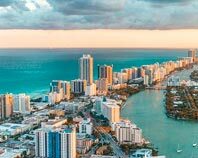 With a metropolitan population of more than 5 million, Miami is the largest city in Florida and one of the largest in America. The city’s economy spans many vibrant industries, ranging from tourism to international trade to manufacturing to media production to financial services. This vibrant mix of activities provides wealth and employment to millions of people, creating an economic engine for all of Florida. ExpeditedFreight.com strives to keep this engine humming along by providing swift, reliable, and safe logistical services. No matter your field, we’ll get you the supplies you need within the Miami area. ExpeditedFreight.com offers deliveries for all of Miami’s most vibrant industries. Take the city’s automotive supply companies, which distribute car parts and other inputs to manufacturers and mechanic shops across Florida. Many of these businesses have trouble getting the inventory they need, as it has to be shipped in from manufacturers in distant locations over what are often treacherous roads. Such clients cannot afford to have their parts damaged, because compromised parts make vehicles less safe, putting the lives of drivers at risk. But they also can’t wait long for these parts, which often need to arrive on tight schedules. ExpeditedFreight.com meets all these needs by providing swift, safe expedited delivery services. 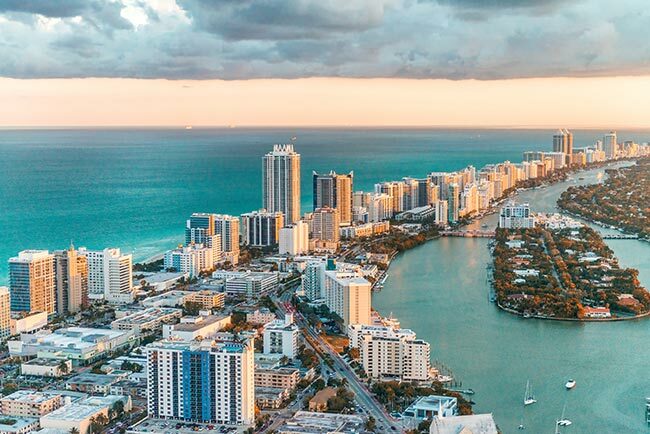 In addition to auto supply companies, ExpeditedFreight.com serves all other businesses in Miami, as well as in nearby cities like Hollywood, West Palm Beach, Milton, Boca Raton, and Fort Lauderdale. The Best Drivers - We make sure that our drivers have the training and experience to work well and the commitment to serving you as courteously and effectively as possible. They deliver in teams of two, alternating between resting and sleeping so that they do not become too tired to work safely. This way, there is virtually no risk of damage or delay for your cargo. Extensive Planning - To further lower the odds of delay or damage, ExpeditedFreight.com charts out routes into and out of Miami with care. We identify the roads that are not only the quickest, but that have the least amount of damage and minimal exposure to traffic congestion or harsh weather. Comprehensive Tracking - While our vehicles are on the road, we have a centralized tracking team keep an eye on them. If they detect any sources of damage or delay, they alert the drivers and guide them to an alternate route. As a result, if anything goes wrong, we can respond quickly and keep your order on track. Continental Networking - ExpeditedFreight.com has coverage and vehicles in all major Canadian and American metropolitan regions. This means that if we’re shipping into Miami, our teams can get to your starting point and load the cargo in just a few hours. Similarly, if we’re delivering from Miami, we’ll have staff at your destination to handle all the goods we’re unloading. To learn more about expedited freight services from ExpeditedFreight.com or get a free quote for your next delivery, call (786) 231-6700 or visit our website today.